Prepared foods marketer J. M. Smucker confirmed that it is consolidating the majority of its marketing business with The Publicis Groupe as it undertakes a major business transformation overhaul. The remit includes creative, media, data and technology services across Smucker’s lines of businesses including coffee, pet food and snacks, and consumer foods. The firm, which spent more than $170 million in measured media last year according to Kantar Media, said the selection was based upon the holding company’s “ability to bring together the best professionals from across its diverse roster of agencies to create multi-functional teams, thought leadership, strong data capabilities, and commitment to breakthrough programs." “We want to continue building brands people love, brands that stand for something,” stated Geoff Tanner, senior vice president, growth and consumer engagement, The J. M. Smucker Company. “To do that, we needed to make changes internally as well as how we leverage our strategic partners,” added Tanner. "The introduction of a single holding company partner allows us to truly embed them into our business, both at a strategic and an operational level,” he said. In the new setup Publicis Groupe will create three dedicated, multi-functional agency teams to support the three major business units at Smucker, pulling talent from around its network. The holding company starts work this fall. 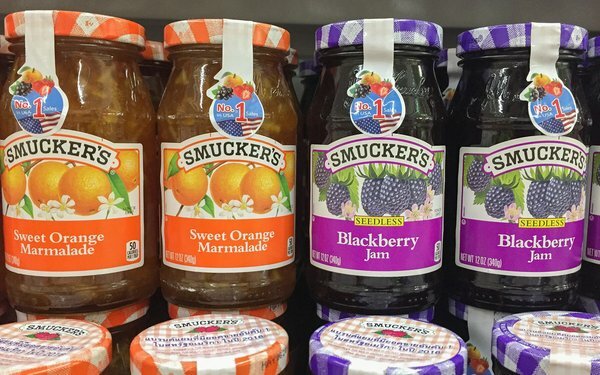 “Smucker’s is going through an incredible journey and we are proud to partner with them to accelerate their transformation and impact with a Publicis Groupe end-to-end Power of One solution spanning creative, media and business transformation—all with data and insights at the core,” said Arthur Sadoun, Chairman & CEO, Publicis Groupe.